Enjoy Neecee's unrivaled collection of innovative and colorful designs during this year's Spring Show. Neecee's doesn't just raise the bar on style, they change the conversation. and just plain fun clothes! 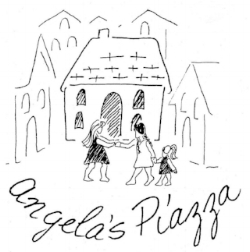 Angela's Piazza is a welcoming, accepting place where women come to learn safer, better lives free from addictions and violence. and programs that encourage spiritual and emotional healing. founder of the Ursuline Sisters.